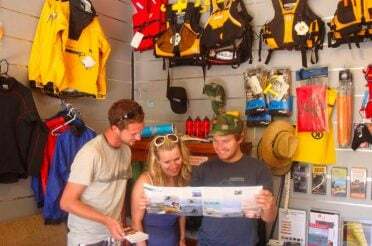 Looking for New Zealand’s best family kayaking tours? Look no further than these gems. 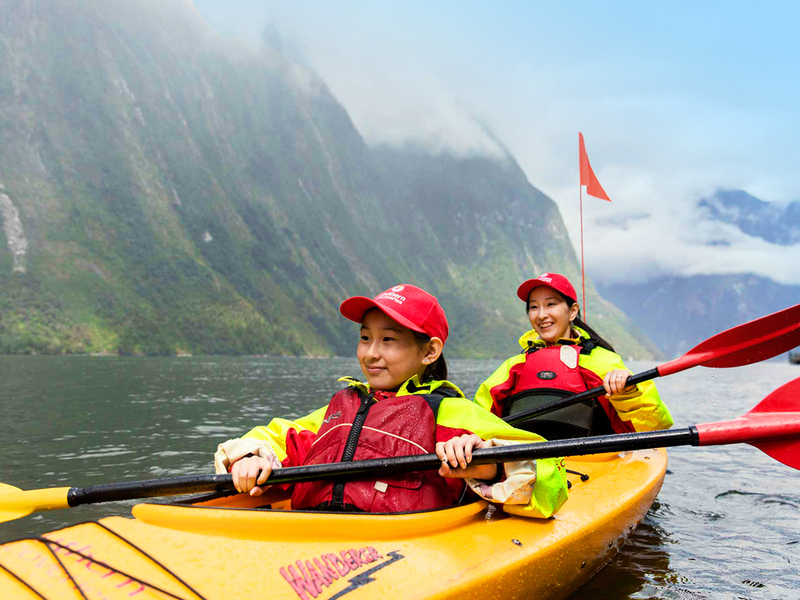 This is the crème de la crème of kayaking in New Zealand's South Island, mixing stunning scenery, challenging waterways and diverse wildlife – and they’re all family-friendly! It’s fitting that the first one on our list is located in the area of New Zealand first sighted by Europeans, and it bears the name of the first known European explorer to set eyes upon the coastline of New Zealand. And what a coastline he chose to do so! The Abel Tasman National Park encompasses some of New Zealand’s most beautiful beaches, laden with golden sand, punctuated by secluded coves and kissing some pristine turquoise ocean. There are plenty of naturally formed landmarks ideal for photo opportunities – chief among them the intriguing Split Apple Rock – and in case the visual beauty wasn’t enough, Abel Tasman National Park throws in a great climate for good measure, with the highest chance of year-round sunshine you’ll find anywhere in New Zealand. 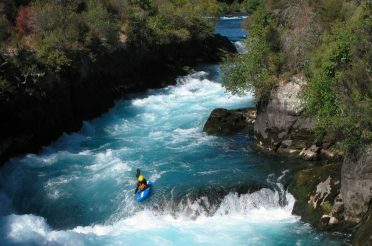 Kayak rental and family kayaking tour companies abound around the National Park, and you can opt for anything from a few hours’ gentle paddle to an extensive, three-day kayak tour. Insider’s tip: remember to spend some time pottering around on the pristine lagoons as well as the sea. 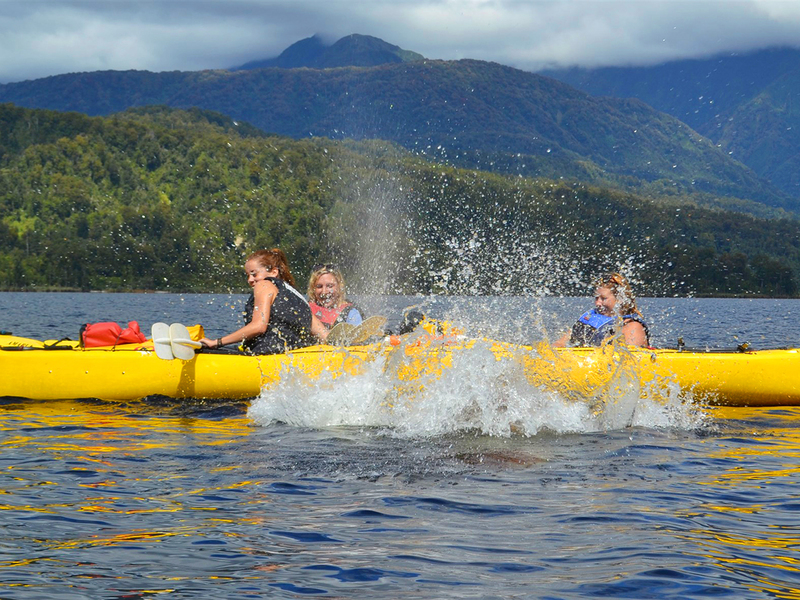 This is the most impressive and the most family fun kayak tour you’ll find in the Marlborough Sounds – and that’s no small compliment. 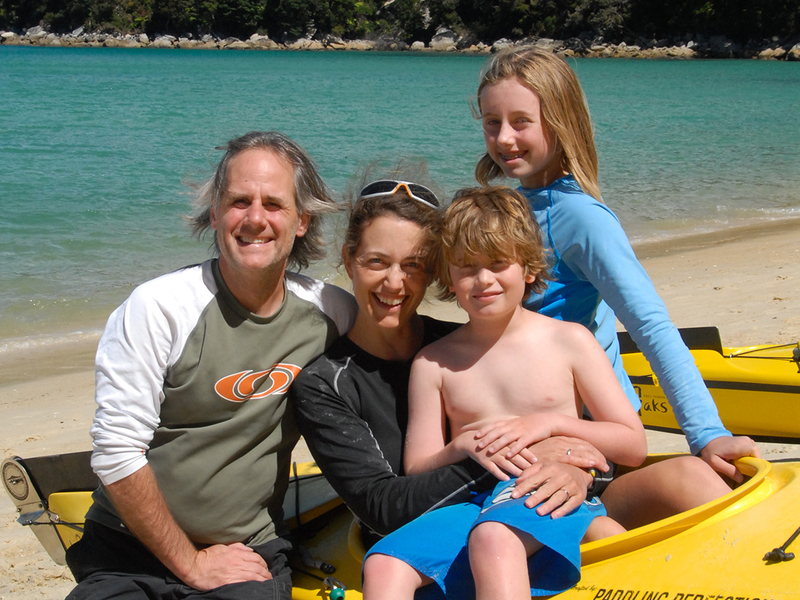 The Marlborough Sounds are blessed with warm sunshine, pond-like crystalline waters and countless coves and beaches providing beautiful kayak spots on tap. However, just outside Havelock is the jewel in Marlborough’s kayaking crown: the Pelorus river. 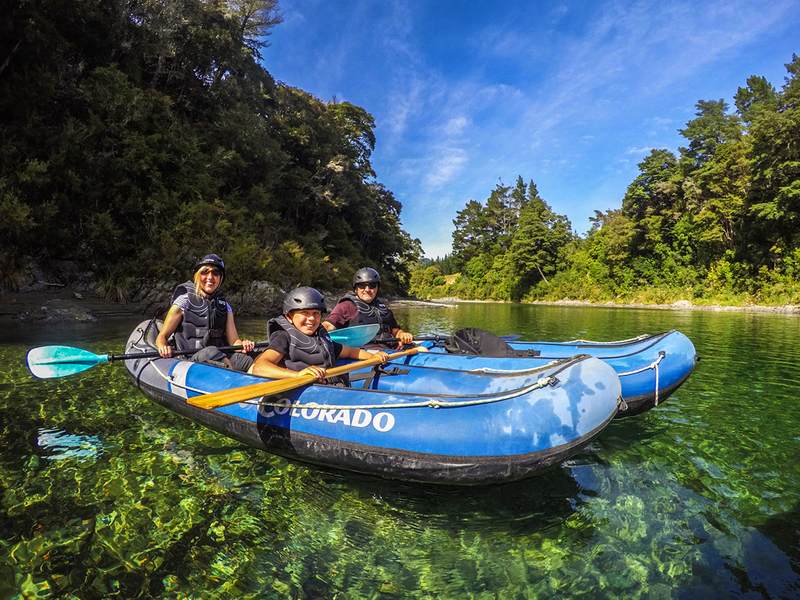 Jumping from gentle winding waterways to exciting rapids, surrounded by pristine native bush and stunning rock features, the trip down the Pelorus is one you don’t want to miss. Sir Peter Jackson was so enamoured with this magical South Island river that he made it the location for the famous barrel escape scene in the film The Hobbit: The Desolation of Smaug. 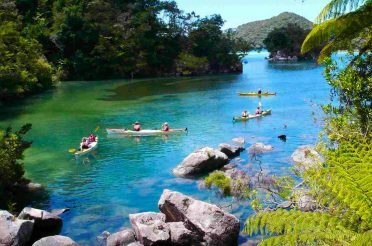 The entire family kayak tour down the Pelorus river can be done in a single day, leaving from Havelock at 9am and at 2pm daily. This is as close as many people will ever get to paradise. Gushing waterfalls and lush forest, silent coves and mirror-like waters. Fiordland National Park is a UNESCO World Heritage site of otherworldly contrasts and contours that Rudyard Kipling called the ‘Eighth Wonder of the World’. The best part? It’s made for kayaking, especially if doing with the family. The still, shimmering alpine lakes make for a peaceful vantage point from which to take in the area’s natural beauty, and the fiords provide a front-row seat for the spectacle of the area’s many impressive waterfalls cascading out of the jungle. 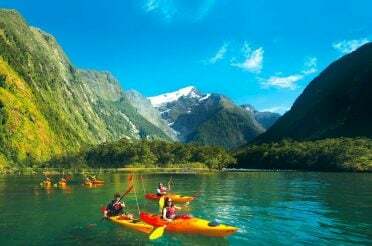 Milford Sound is the most popular and easily accessible, with lots of options for hiring kayaks if you don’t have your own. However, if you want to get off the main tourist route a bit, don’t think twice about a guided family kayaking tour in Doubtful Sound – this is the deepest fiord in New Zealand (421 metres) and, accordingly, it is home to a thriving and diverse ecosystem, including fur seals, penguins and bottlenose dolphins, not to mention very small crowds and some serious serenity. 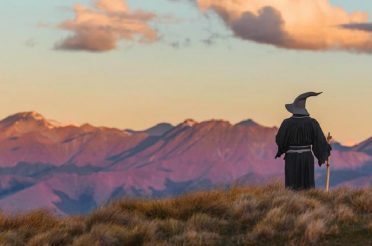 Just a few hours north of Christchurch, Kaikoura offers the best interaction with New Zealand’s wildlife. This is ocean kayaking which delights all the ages. Although things can get a bit chilly, you’ll quickly forget about the cold when you notice a dolphin swim up alongside you. The big drawcard here are humpback whales – this is one of New Zealand’s best places for whale-watching – and if you’re lucky you’ll see some blowholes and tails (from a distance) from the kayak. Closer to shore you’ll get cute seals and majestic dolphins sharing the water with you, and the kayak gives you a much more intimate wildlife watching experience than you’d ever get from the bigger sightseeing boats. 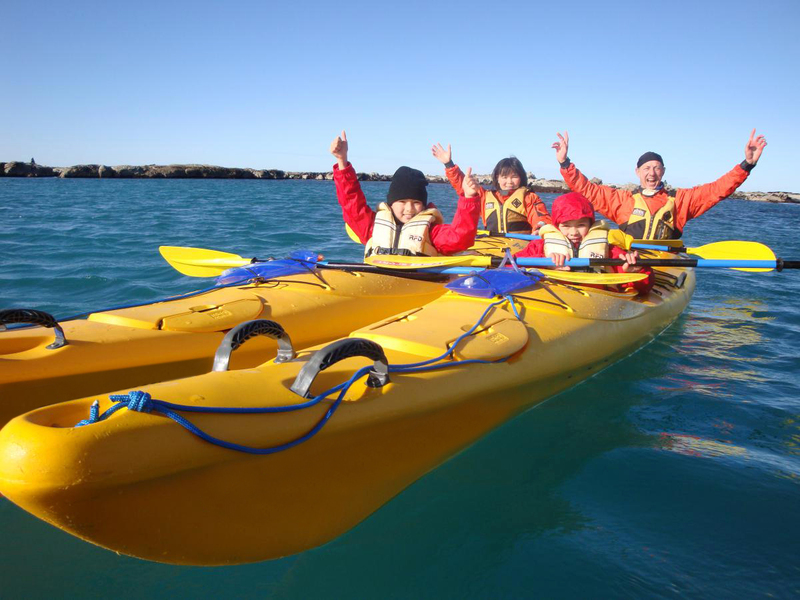 Even without the unique attraction of wildlife encounters, Kaikoura is a picture-perfect kayaking location, with majestic snowy peaks in one direction and the Pacific Ocean stretching into the horizon (and South America) in the other. 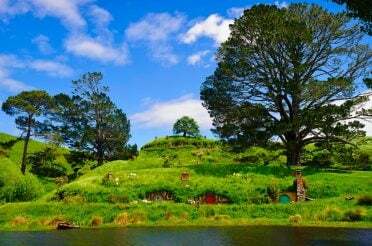 Westland is not the easiest part of the South Island to get to, but it may just be the most rewarding. 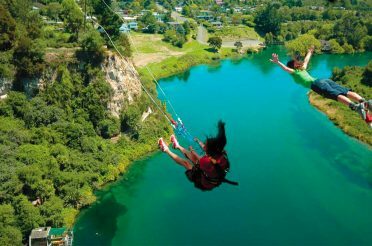 When it comes to stunning scenery, you’re spoilt for choice all along the West Coast, from the quaint charms and breathtaking panoramas of Hokitika in the north to the awesome expanse of Mount Aspiring National Park in the south. Arguably the most impressive, though, is the glacier country in the middle, immediately west of Aoraki/Mount Cook National Park. Franz Josef and Fox glaciers are plonked among some spectacular landscapes; think moss-covered valleys, schist-laden cliffs and snowy alps of the highest (literally) order. Unless you’re up for some serious hiking, though, the easiest way to take it all in at once is at Lake Mapourika. 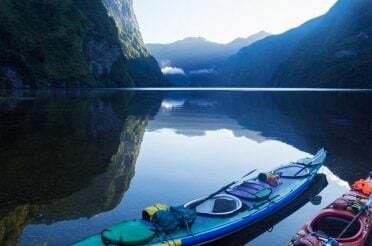 As well as unforgettable mountain panoramas reflected in the mirror-like lake, a kayak tour here will also take you down narrow creeks among untouched native forest and give you a chance at seeing New Zealand’s rarest kind of the kiwi, the Rowi, that will captivate and entertain the whole family.